The task of preparing to build a new church facility may seem overwhelming to the steering committee. There is much to do and much to plan. However, with experienced professional help, the task can be accomplished. When getting ready to build, one of the first questions is: How much is all this going to cost? It is important to remember that the construction cost of the building is only part of the overall expense. Constructing the building is the largest single expense, but there are a number of other significant costs that are essential and should not be underestimated. 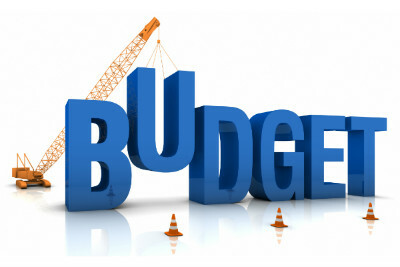 In this article, we will briefly summarize the major items that make up a project budget. At the end of this article is a checklist to help with preparing such a budget. Purchasing property will be one of the first big expenses. The cost of purchasing land, including any expenses or financing costs, must be included in the project budget. Omit it from the budget only if the land is already owned, free and clear. If the church leadership is not sure whether more land is needed, ask an experienced architect or land planner for advice. A site feasibility study or master site plan will help to determine the need for more land. Most church leaders or steering committees are not in a position to estimate construction costs on their own. The help and advice of your architect or your contractor will be essential. One of the architect's duties should be to help make early projections of construction costs based on the size and type of building needed. This may take place long before a contractor is selected. At this stage the estimate is normally based on average costs per square foot of similar projects in the same region of the country. Sometimes preliminary cost projections must be made years before the project is actually built. Inflation must be allowed for in to all cost projections, especially those based on historic cost data. Similar projects built in the same vicinity more than three years ago may not be reliable indicators of cost because of inflation and changing market conditions. Projects built during a recession do not make good cost examples later on during an economic boom. Projects used for comparison should have inflation factored in if they are to be relied upon. Prior to the start of the Great Recession in 2008, construction inflation often exceeded 5 percent per year over the previous 20 years. It was relatively flat from 2008 to 2012 and then began to rise again. Construction inflation can vary widely from year to year. Site construction cost should always be calculated separately from the building. Every site is different. Hilly sites cost more to develop than flat sites. There is a great variation in local and regional requirements for such things as landscaping, storm drainage, paving, curbs and grading. The site construction cost will be the most difficult item to estimate until site engineering documents can be priced by the contractor. Even then the cost could depend on the time of year, with projects starting in late fall or early winter costing a little more due to weather conditions. Construction cost is defined in the construction industry as the contract cost paid to a contractor or contractors, for construction of all portions of the building and site (for material, labor, overhead and profit). In some cases it may involve a single general contractor or a construction manager, and in a few cases there may be multiple contractors and suppliers. Construction cost is only part of the total cost of the project and may be less than 70 percent of project budget. Almost all church building projects of any size will require the services of experts whose experience and training qualifies them to provide professional design services. Architects and engineers are essential to the process. Trying to get along without help from these professionals is probably the biggest mistake any church could make. Design fees will depend to a great extent on the size and complexity of the project and on the firm selected. Never make the mistake of selecting the architect based on low fee. It is not the purpose here to deal with the topic of how to select the architect or what to expect design fees to cost. For preliminary project budgeting purposes, it is best to estimate design fees as a percentage of the construction cost. This does not necessarily mean that a percentage fee is the only way architects establish their fees. Many architects will use a fixed fee or an hourly fee with a maximum. Architectural fees vary by region. Services of structural, mechanical and electrical engineers are almost always included in the architect’s fee. Civil design (site engineering) is sometimes treated as a separate fee. Most architects who work with churches will incorporate civil engineering into their fee for basic services. Verify that your architect includes civil engineering. In addition to professional fees, most architects and engineers also charge for various reimbursable expenses. This includes travel expenses, automobile mileage, printing and delivery expenses for construction documents. Sometimes renderings, models and computer animations are treated as expense items. Expenses are related to project size and travel distance for the professional. It is normal for expenses to be invoiced as a separate line item, different than professional fees. Most architects mark up reimbursable expenses 10 percent to 15 percent. Ask the architect for an estimate of expenses. There are several costs that are in the same category as design expenses except they are usually handled separately from architectural fees. These are normally directly paid for by the owner (the church) and do not generally go through the architect. Most projects will require the services of a professional land surveyor to prepare a complete site conditions survey, including boundary and topography. The cost of this survey will depend on the size of the property being surveyed, the density of the vegetation and the severity of the topography (change of elevation). Important things to look for on the survey include the presence of floodplains, streams, wetlands, utility easements and other conditions that may impact the usability of the site. Subsurface investigations are usually recommended by the architect or the structural or the civil engineer. Soil borings will reveal the structural qualities of the ground on which the building will sit. Soil permeability tests are done when a septic system is required because of unavailability of sewer. There are several types of environmental investigations. These are sometimes required by the lender or by the local government. Site environmental investigations, also called a "Phase 1 Investigation," look for hazardous materials that may be buried on the site. Existing buildings requiring renovation can contain hazardous materials such as asbestos and lead paint. These require testing to verify their presence. All of these situations require specially-trained environmental engineers to investigate for the presence of hazardous substances and recommend methods of removal or remediation. If hazardous materials are found, it can turn into a major expense. Some sites may also require investigation for historic artifacts, burial grounds, endangered species or other environmental concerns. A new building would be unusable without furnishings. Churches need worship seating, classroom chairs, tables, kitchen equipment, audio and video equipment, and many other items for proper functioning of the facility. The project budget at the end of this article has a checklist of items that may need to be included in the budget. It lists several items that might not have been considered such as new choir robes, hymn books and liturgical furnishings. FF&E are not always included in building construction cost, because they are not usually part of the work of the general contractor. They are listed as NIC (not in the contract). A general contractor usually does not want to be responsible for ordering pews, chancel furnishings or expensive sound equipment. Rely on the advice of your architect and interior designer when budgeting for furniture, fixtures and equipment. Sometimes churches prefer that some of the work be performed by member volunteers. This is not always a good idea, especially if church members do not have the necessary skills and experience. Some churches will have members who are skilled craftsmen or subcontractors and prefer to have these people perform some of the work. if any work is to be member-provided, the cost of this work may be budgeted as a separate line item. The checklist gives a general idea of the types of things churches can handle as separate contracts and which can sometimes save the church money. Every construction project has necessary changes. The contingency fund is there to pay for essential changes to the work. It is there to cover the cost of things that come up that you have no choice but to do. For example, if the fire marshal visits the job and requires more exit signs (even after having approved the plans), you have no choice but to add the items he requires. If the engineer discovers that a structural component needs to be modified, then it must be done. If during the work, unforeseen conditions such as rock or poor soils are encountered, then the contingency fund will come in handy. Contingency funds are not for upgrades. If the church leadership wants to upgrade the carpet or have better light fixtures, the money for these should not come out of the contingency fund. The contingency fund is not there to use if the bids come in over budget. Establish the amount as a percentage of the final construction contract cost and use it only for essential changes. The checklist includes suggestions on how much the contingency fund should be for various types of projects. The cost of financing should be calculated into the overall long-term cost. After all, it may take many years to pay off a loan, and the interest alone can represent a significant portion of overall cost. Today, most churches try to keep long-term borrowing to a minimum, but even then there will be expenses associated with short-term loans. Talk to several lenders for help in calculating financing and interest cost. Include closing costs and fees. Most churches will also need the expert assistance of a fundraiser or capital stewardship consultant. These specialists can more than pay for their expense by providing advice and help that will significantly increase the amount that members pledge to the building fund. Consult with several professional fund raisers to obtain estimates of their fees and expenses and include this in the budget. It is critical that the church understands the total cost of the project can be 20 percent to 30 percent more than the construction cost alone. Preparation of a complete and accurate total project budget is important and will require experienced professional assistance. The budget should be regularly updated throughout the planning and design process. Working with your architect, and use the checklist that follows to get started establishing the project budget. Musical instruments, music stands, piano, organ, etc. Expenses for publicity, brochure printing, banquets, etc. *Some architectural firms may include these items in their fees and expenses. **May be built into construction contract cost or not in contract. Bob Foreman is senior principal at Foreman Seeley Fountain Architecture, an Atlanta firm specializing in the design of church and school facilities. Bob is a member of the American Institute of Architects and is a LEED Accredited Professional.